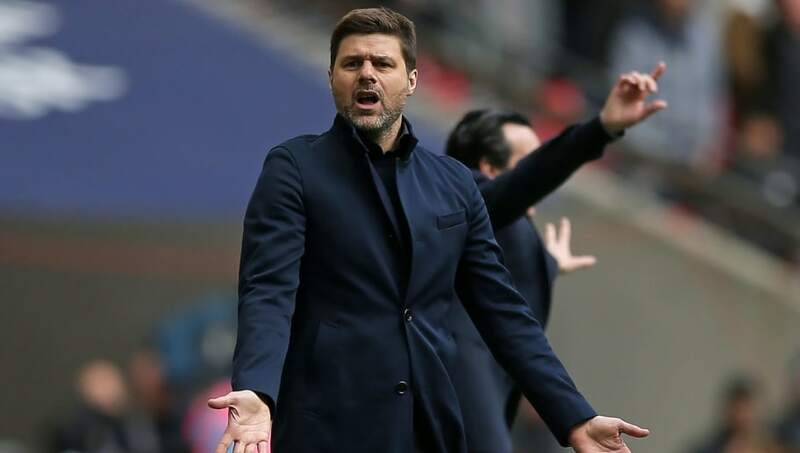 ​Tottenham Hotspur manager Mauricio Pochettino has admitted he was left dumbfounded by the FA's decision to hand him a two-match touchline ban following his confrontation with referee Mike Dean. Following February's 2-1 defeat at the hands of Burnley, an incensed Pochettino clashed with Dean, but the Argentine later apologised for the incident and admitted he should not have acted in such a manner. When asked about the punishment, which also includes a £10,000 fine, Pochettino admitted he felt the touchline ban was unfair. He is quoted by ​The Telegraph as saying: “I was in shock. It was before the [​Borussia Dortmund] game, and you can appreciate that I was so sad because I didn’t change. "I was in a tracksuit on the touchline, I didn’t put [on] the suit and tie because I was so sad when I received the news. “It’s like my mind was gone because you feel so bad. Because when you deserve to be banned, of course. But this, I think it’s not very proportionate, it’s exaggerated. Pochettino will miss his side's next two ​Premier League matches - away trips to both ​Southampton and ​Liverpool - with his assistant Jesus Perez set to lead the side from the dugout. The Argentine revealed he is confident Perez will perform well, adding: “I trust in him and his decisions. We can communicate. I’m allowed to go to the changing room and everything; I’m just not allowed to be sitting on the bench. It’s so strange.